Few may know its history, but the Maungaraki Community Association (MCA) has been active for a long time. Since 1983 in fact, way back when Robert Muldoon was the PM and DD Smash had a No.1 hit called ‘Outlook for Thursday’. Much has changed since the early 1980s. Property prices have increased by 500% and along with it a generational shift as Maungaraki’s population is becoming younger and the ethnic makeup of our community becomes more diverse. 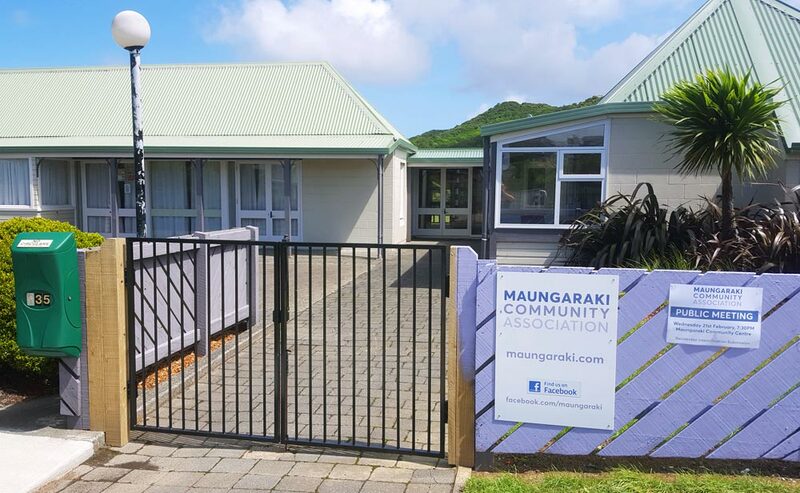 The MCA continues to work on projects to help improve Maungaraki and keep our community as well informed as it can be via channels like the MCA website, MCA Facebook page and of course the newsletter your reading now, Maungaraki Views. The MCA is an active advocate on behalf of our community, aiming to further the interests of our neighbourhood with local and central government. Promoting the needs of our residents and opposing inappropriate development in our neighbourhood. Here is a list of achievements the MCA has helped deliver for Maungaraki. Organised two hugely successful summer fairs. Bands, entertainment and stalls. Promulgated the parking arrangements in the shopping centre. It used to be no time restrictions, but residents were parking outside the shops all day leaving no spaces for customers. That side is now a mixture of one & two hour parking. A major benefit to shop owners and customers. Organised a design competition to develop the Rowan St ‘green space’ across from the shopping centre. Previously it was just grass. The MCA submitted the winning design from a local resident to HCC and were successful in obtaining funding. Obtained funding for extending the Mulberry Street footpath on the seaside side. Previously it stopped on the intersection of Cedar Street and was grass until No.20 Mulberry Street. Now that it is a continuous footpath many more people use it. Advocated against the sale of the land which is now the Mulberry Street lookout. Council were proposing it be sold to housing developers. The MCA ran an excellent campaign and persuaded HCC to retain it as a reserve. Obtained funding for the picnic bench at the Mulberry Street lookout. Obtained funding for the two park benches on the top field near the school playground. Obtained funding for the park bench that overlooks the harbour towards just past Maple Grove. Had heat pumps installed into the main hall at the Community Centre, which previously had none. Had new gates installed at the Community Centre. The previous gates did not have child protection devices. Persuaded HCC to not demolish the Plunket Room at the Community Hall. This budget was retained to upgrade the space into what is now the Community Corner. Ongoing improvements to the Hall, new carpet in the supper room, two new stoves, sound system, new tables and chairs etc all paid for by the MCA. Support to the After School Care for upgrading the electrics so they could get a hot water tap. Assisted with the design, and advocated for funding for the Shopping Centre sign. The old one, which didn’t look good, blew down. Small incremental improvements, but viewed as a whole illustrate the huge positive difference the MCA has made. By Editor & Max Shierlaw.